The most common type of flower used during a funeral service, white stargazer lilies especially symbolize innocence and purity. Belonging to the iris family, gladioli (singular gladiola) represent a strong character, moral integrity, and sincerity. Carnations are a popular choice for floral arrangements because of how long-lasting they are. Pink carnations show remembrance for the departed. Roses make for beautiful displays of enduring love, reverence, and humility. Different colors represent different things. Light pink roses show admiration and sympathy, red and white roses show unity, and red roses portray respect and enduring love. White chrysanthemums add a loving touch to arrangements and symbolize truth. If you want to say I will love you forever,” Orchids are the flower to choose. Although these bright and colorful flowers may not be appropriate for every situation, they can bring hope and encouragement to the bereaved. In the event of an untimely passing, delicate white lilacs represent innocence and are often used in arrangements for young children. To show true love and remembrance, these dainty flowers are favored for their symbolism. A unique use of forget-me-nots is seed packets passed out during the funeral service, with directions to plant in memory of the loved one’s passing. Sending a peace lily as a sympathy gift is often well-received because it is a potted houseplant, meaning it will last the bereaved for years, reminding them of their loved one. It is important to note that there are some cases where flowers are not traditional gifts. For example, in the Jewish and Islamic faiths, flowers are not necessarily unwelcome but are not commonplace in the funeral process. As you can see, there are many choices when putting together a meaningful flower arrangement. Experienced florists can also help you to choose flowers that are relevant and meaningful to the situation at hand. It can be comforting to choose flowers and colors that the departed loved one had an affection for. For example, if their favorite color was purple, it would be nice to have beautiful purple carnations during the service. 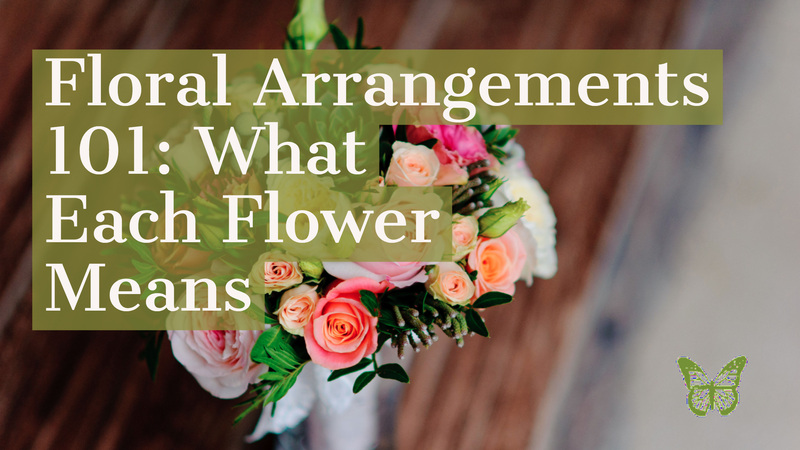 Floral arrangements do not have to be difficult, but it is important to take time and consider the appropriate measures to take when planning a sympathy bouquet or funeral spray. Ascension Funeral Group serves the Mobile, Alabama area with funeral and cremation services, grief support, pre-planning, and more. Visit us online at www.AscensionFuneralGroup.com! Call us any time at 251-634-8055 or connect with Ascension Funerals & Cremations and Forest Lawn Funeral Home on Facebook and Twitter!